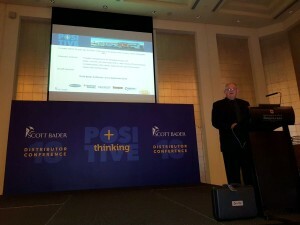 As at the previous two business meetings in the UAE, New Zealand featured prominently. Attended by 150+ delegates from the UAE and surrounding countries such a Saudi Arabia, Oman, Jordan, India, Egypt and numerous others, as well as delegates from South Africa, Australia and the UK. Phil Breytenbach, General Manager at Chemical Specialties Ltd in Auckland, presented a technical paper on the use of a hand held X-RITE spectrophotometer on matching gelcoat colours to a DE < 0.5 as required by the OEM industry. 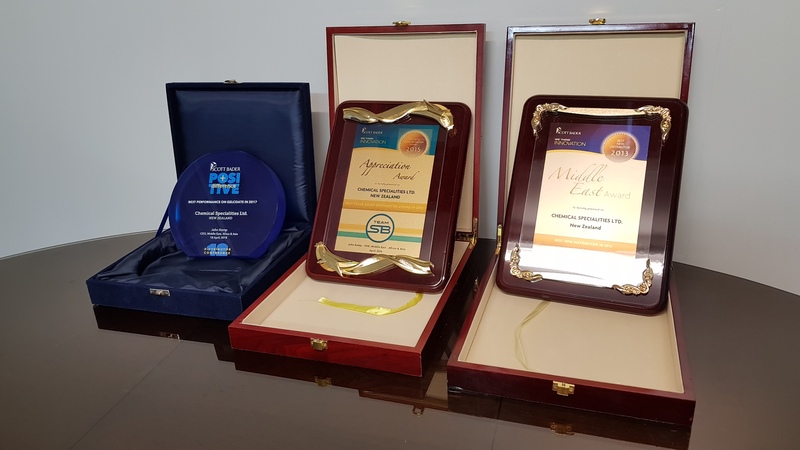 Chemical Specialties Ltd. was also granted a prestigious award for “Best performance in Gelcoats in 2017”. 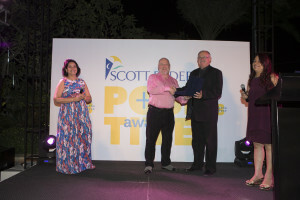 Malcolm Forsyth, Director Global Strategy, based in the UK, focussed on “Sustainable Development” and highlighted success Scott Bader is achieving internationally with environmental programmes. Key point was “The economy cannot thrive without a thriving society, which in turn cannot thrive without a thriving environment…. All are inter-linked and all need to be in balance for all to thrive”. 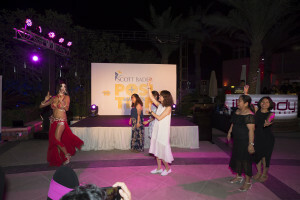 The glamorous Award Ceremony Dinner was held outside at the pool area at the lavish Shangri-La Hotel in Dubai; a traditional BBQ with appropriate entertainment by a very charming belly-dancer.